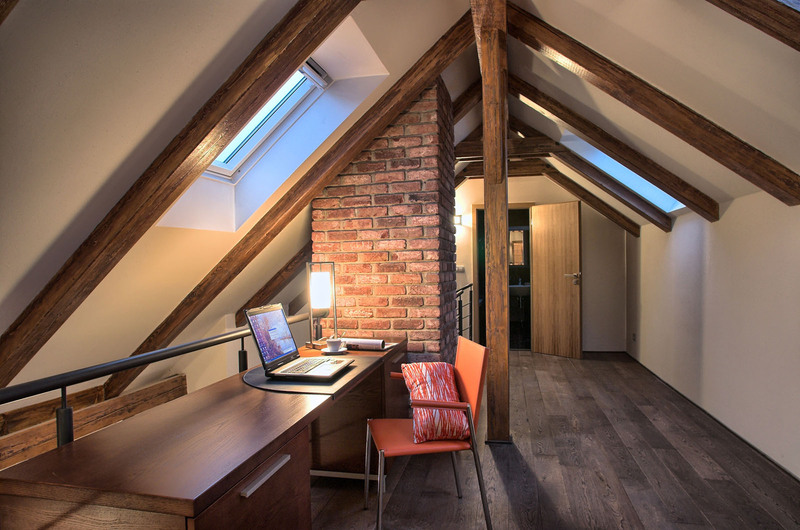 On the third floor of this superb residence is a typical duplex Prague apartment which is kind of penthouse, the most unique of all. 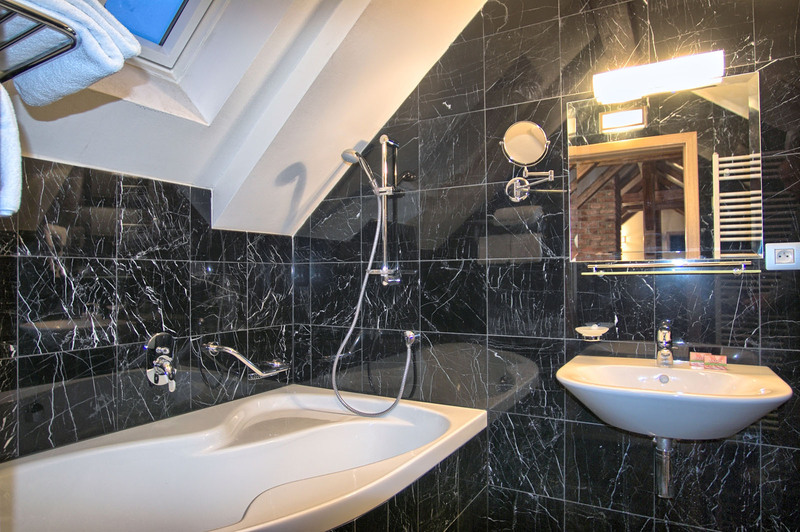 This Prague rental have three large bedrooms, outstanding living are with fully equipped kitchen and two spacious bathrooms with bathtubs and shower. 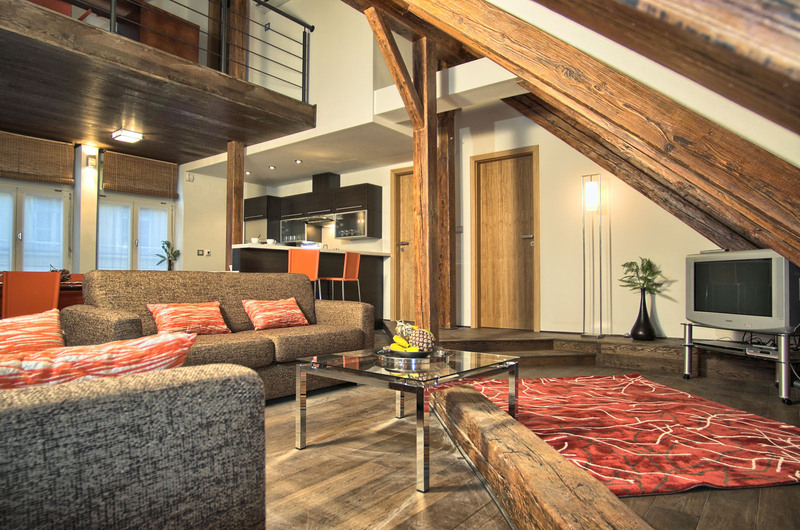 Residence Rybna is situated in the real centre of Prague. 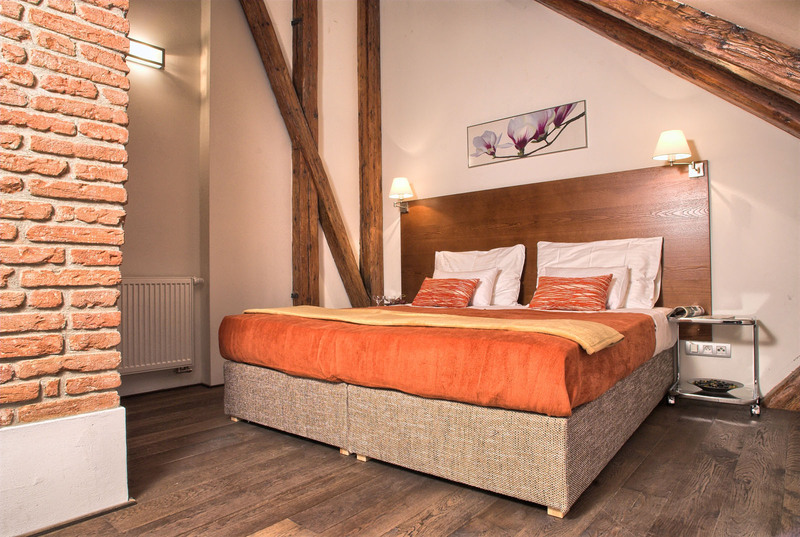 But even if the location is excellent the apartment rental is very quiet and is it suitable for families with small children as well as for group of travellers to Prague. 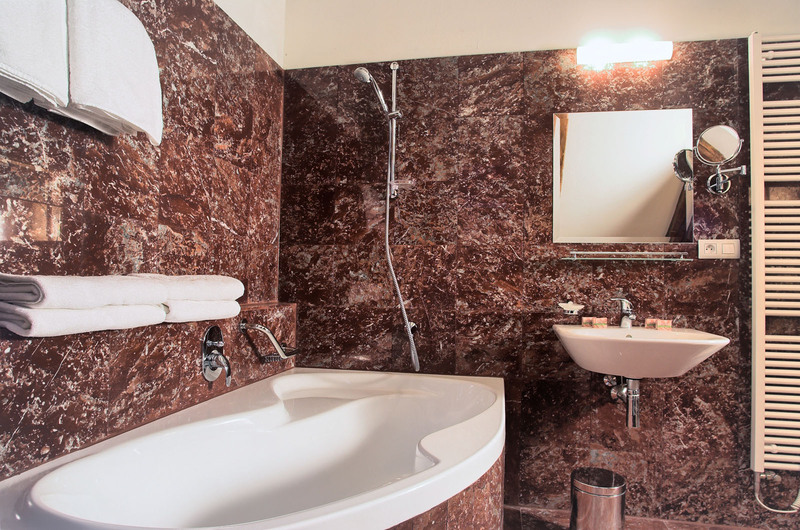 If you book with us you will get 24/7 assistance; complimentary tranfer; maid service upon request and high speed internet connection. 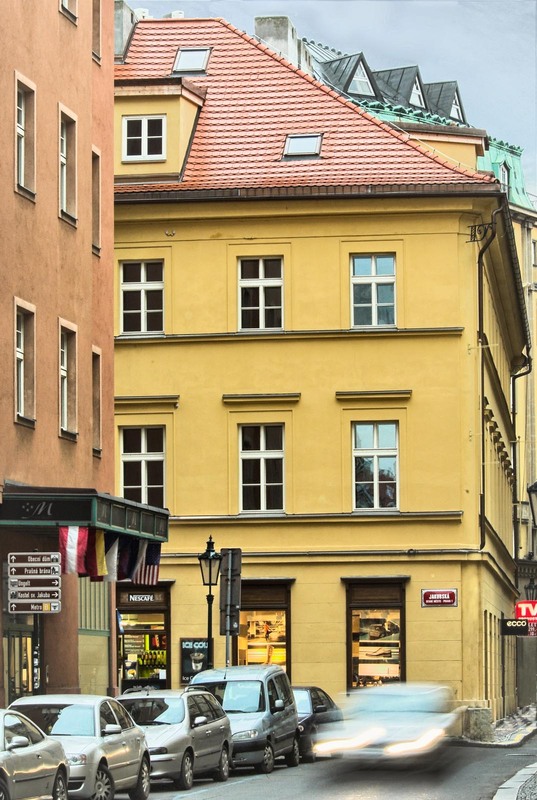 Residence Rybna belongs to top rated properties in Prague. 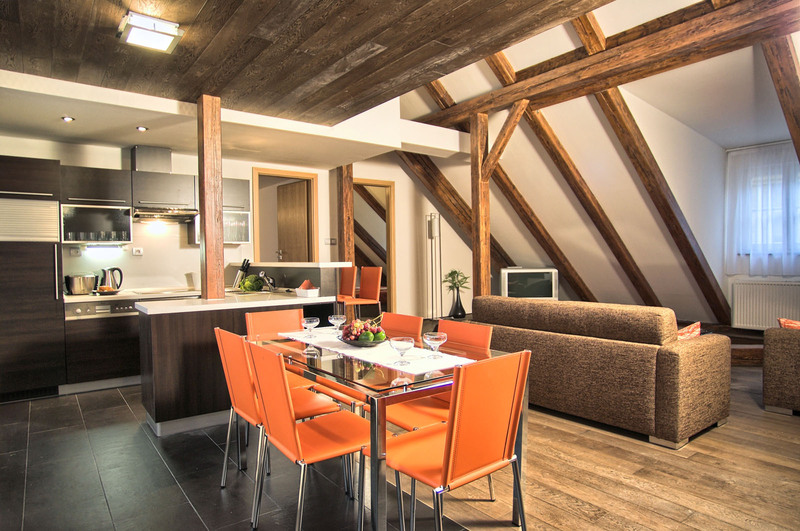 Enjoy the benefits of staying in Prague apartment for rent in Residence Rybna and we will do our best to make your stay fully satisfactory. 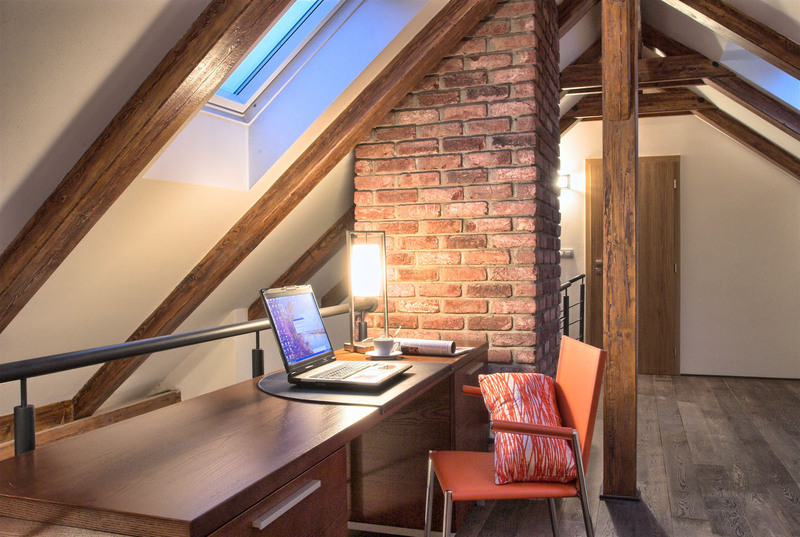 This apartment accommodated 2 families of 4 adult and 4 children very comfortably, and provided an ideal base for us to explore the city of Prague. We stayed in mid-August and despite the heat were at ease in the apartment because of the reliable air-conditioning. The beds and furniture are very comfortable, and all amenities needed for guests' convenience are available. I especially appreciated the washer-dryer and drying rack since we were in the middle of an extended multi-city trip. The only problem we encountered was in our checkout: the office helpfully accommodated our request for a 12 p.m. checkout (we had a 12:30 train to catch) however, when we returned from a short walk at 11:45 we had been locked out of the apartment! As a result we very nearly missed our train to Berlin. This could have been avoided if either (1) the office extended the key code to 12: p.m. or (2) the office informed us that our key would be deactivated at 11. Had we known we would not have taken that short walk. Future travelers and the office staff should be aware of this complication. It was good.it had 3 rooms and 2 extra beds.But there were no elevators. You also have to walk to the old town for ten minutes approximated. There were wooden logs on the floor and you could easily trip on them. The shower had a small door and water kept going outside the tub. 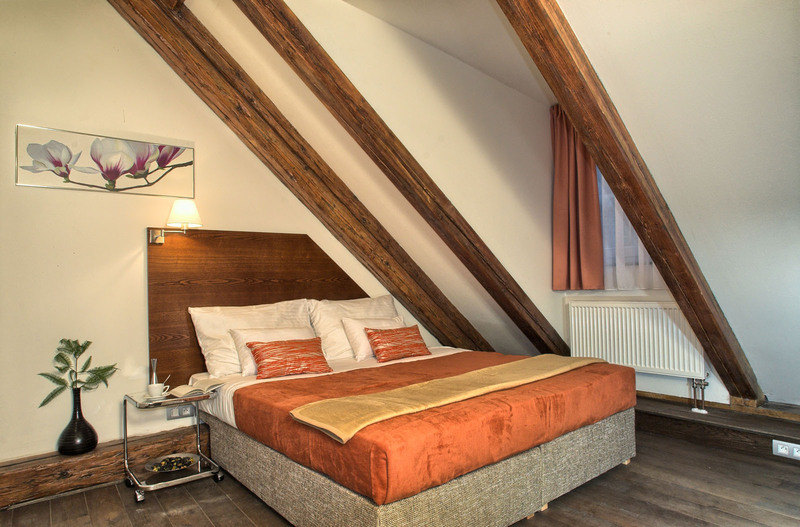 We thoroughly enjoyed our visit to Prague and having a spacious apartment within minutes of the main square and Powder tower was a huge plus. The staff was very very accommodating in letting us check in early at the apartment and Adele provided us with a lot of valuable information about getting around the city. Although no elevator for a 3rd floor apartment, we did not mind the exercise! Great spot for family or group stay. 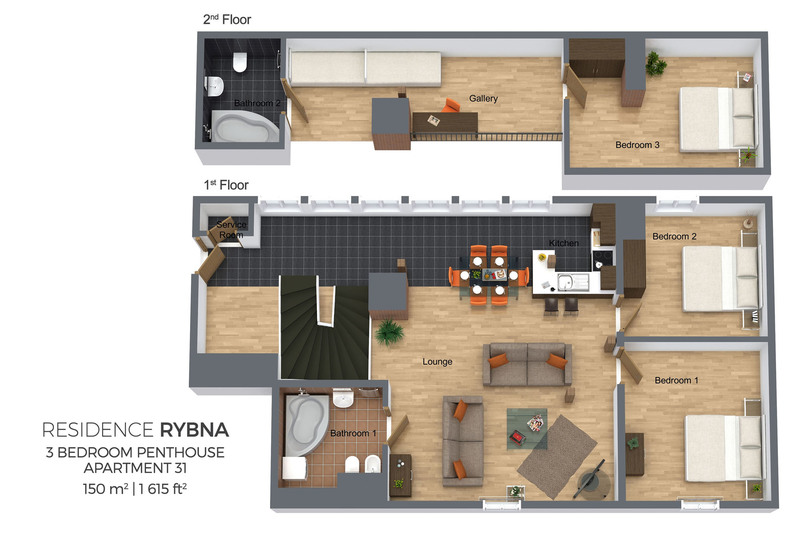 Very central with all amenities on hand. Office check in wasextremely efficient and friendly with our late night arrival. Well recommended. Nice apartment in a good location.